The Eagle Nebula, also known as Messier 16, contains the young star cluster NGC 6611. It also the site of the spectacular star-forming region known as the Pillars of Creation, which is located in the southern portion of the Eagle Nebula. 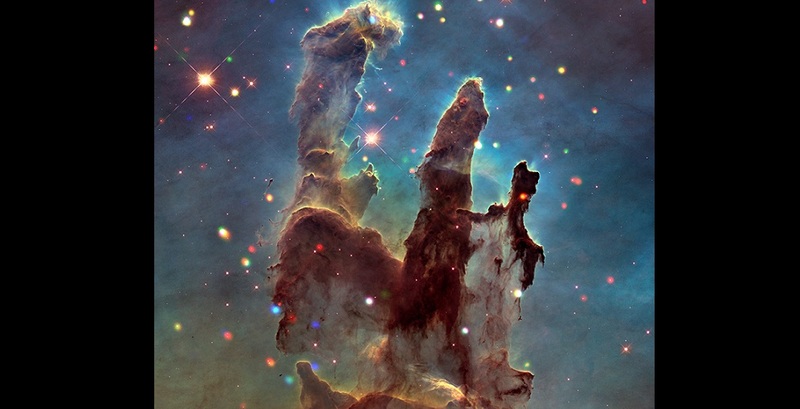 Using Chandra, researchers detected over 1,700 individual sources of X-rays in the Eagle Nebula.